The photo is of Katafito, at 950 m altitude, a region of Drama, eastern Macedonia, in Northern Greece. An unexpected altitude for this region, as in Drama the vineyards are located on gentle slopes, not really exceeding 400 meters. You are probably wondering what has caused this climb. Climate change and global warming are well recognized by wine-producers and have raised serious concerns. Will they continue to produce quality wines or will they end up in overripe jammy - like expressions of the varieties? 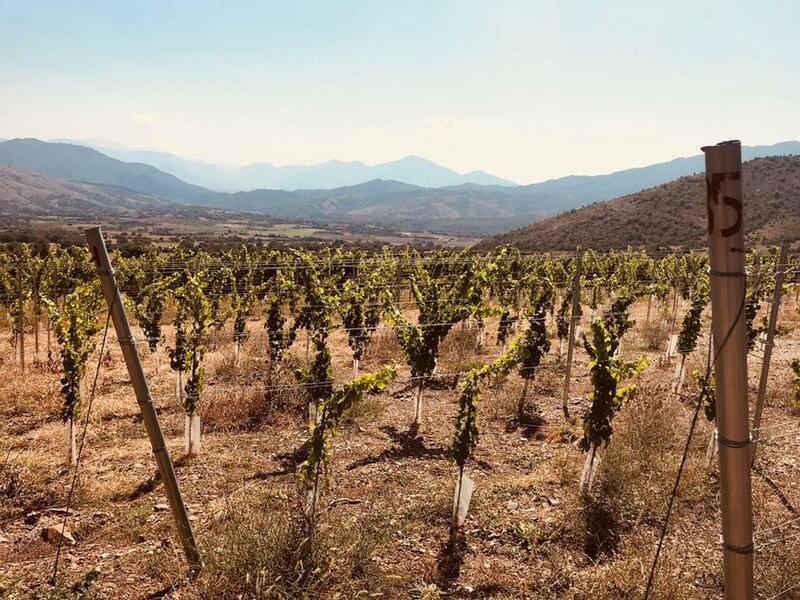 If the predictions of further temperature increases in Greece (and worldwide) are confirmed, many areas will be unsuitable for viticulture, in the future. At least, as we know of them nowadays (Hannah et al., 2013, we expect a reduction in the suitability of viticulture in Mediterranean Europe in the year 2050, at a rate of 60 to 73%). 26 hectares have been planted so far; 3 hectares of Malagousia, which is already on the market and is delicious. Then there is quite a lot of pungent Sauvignon Blanc, which is used in the Amethystos blend. “This year we harvested our first very encouraging samples of Vidiano and Riesling (photo below). In fact, we plan to release a sweet wine made of Riesling later this year,” Gerasimos Lazaridis continues. The first plantings in Katafito took place in 2014, which clearly shows that Costa Lazaridi Estate has considered the issue of climate change seriously. 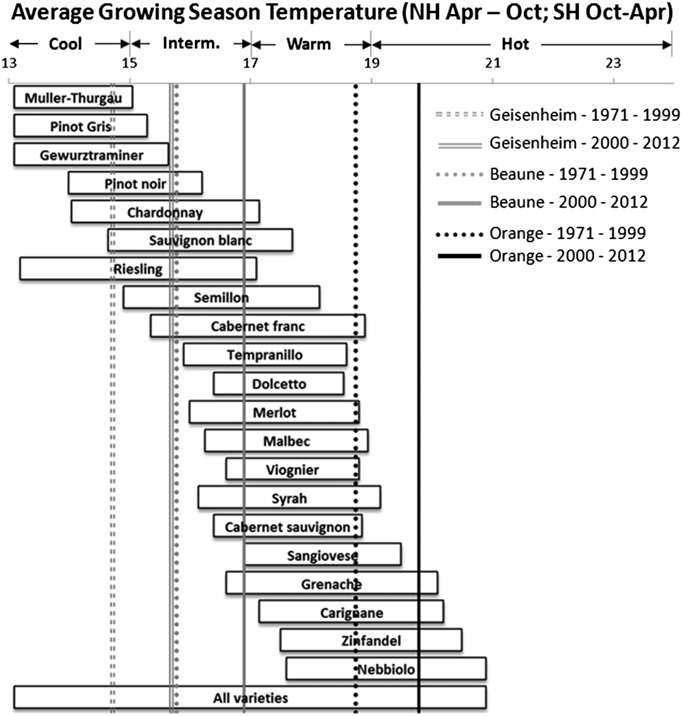 Now, apart from the varieties mentioned above, others such as Pinot Noir, Merlot and Chardonnay, have also been planted; the best expression of these varieties is seen when they are subject to low average temperatures during the growing season. You can see more about the appropriate temperatures in the graph at the end of this article. 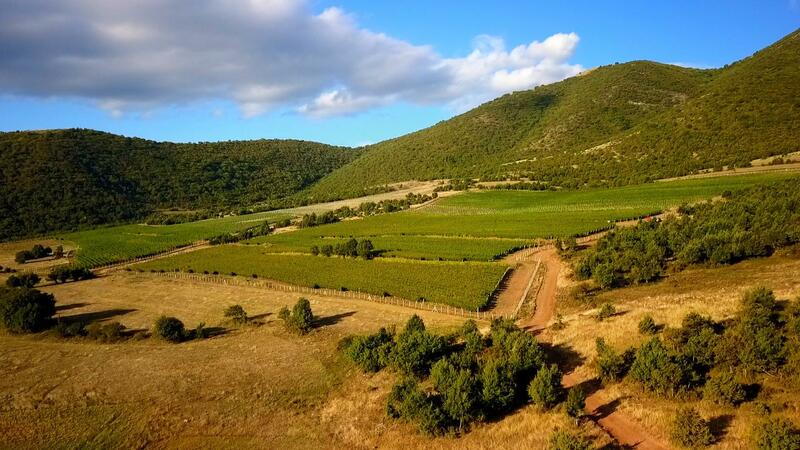 Recently, Wine Art Estate (whose vineyards are planted from 150-400 meters) received approval to plant at an altitude close to 1100 meters! “We installed temperature sensors and noticed there is an important difference in temperature during the summer, compared to that of our existing vineyards (~ 7oC). 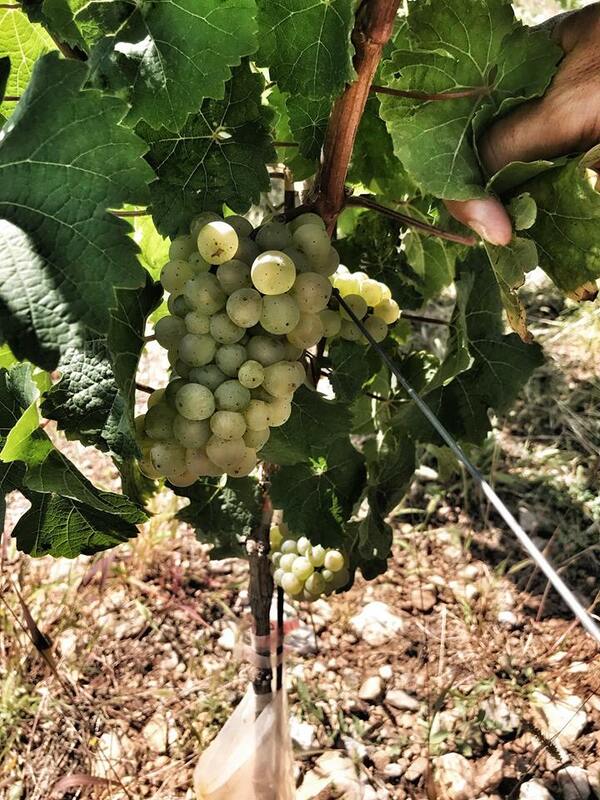 There is, of course, a big risk due to spring frost, so we will start out with a small area of 3-4 ha, to see how it goes, beginning with Sauvignon Blanc,” winemaker Akis Papadopoulos comments. While the 70's and 80's were dedicated to the pursuit of better grape maturity and more phenolic ripeness, it is clear that nowadays there is a change of direction. There is a shift in style from super concentrated wines, which are made of overripe grapes and boast amazing fruit density, to more refined, ethereal and terroir driven wines; this was obviously missing. Even the Screaming Eagle (The Ultimate Tasting: Screaming Eagle revealed), the most legendary American wine, is exploring the ways to better achieve this and is working in that direction.